This is part of a sponsored collaboration with Smithfield and DiMe Media. However, all opinions expressed are my own. 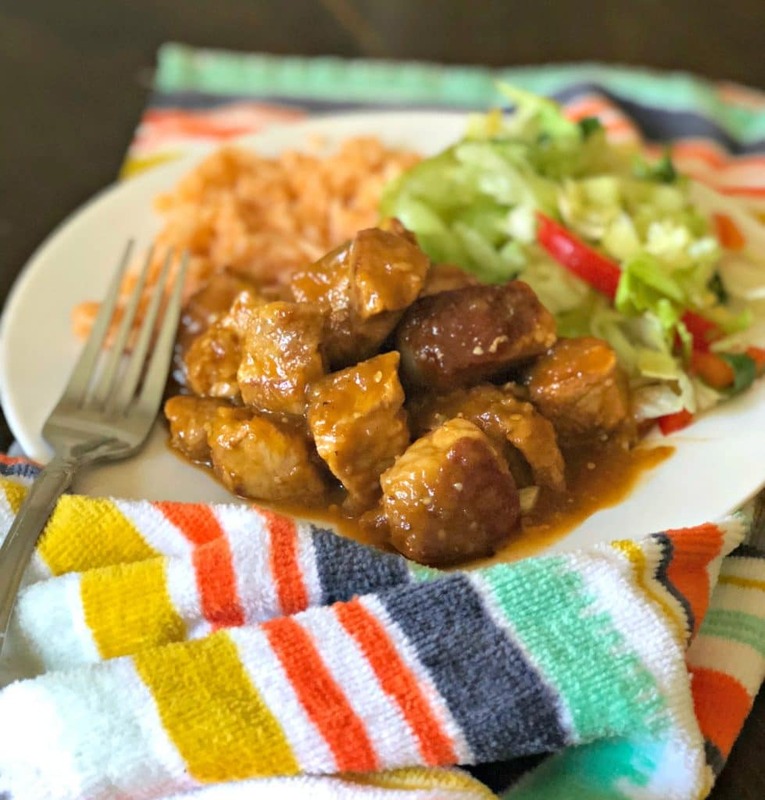 This Mexican-Style Sweet and Spicy Pork combines spice from chipotle peppers, with the sweet from “piloncillo” to create an explosion of flavors in your mouth. 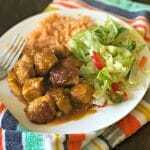 If you like pork, then you will love this Mexican-style sweet and spicy pork. 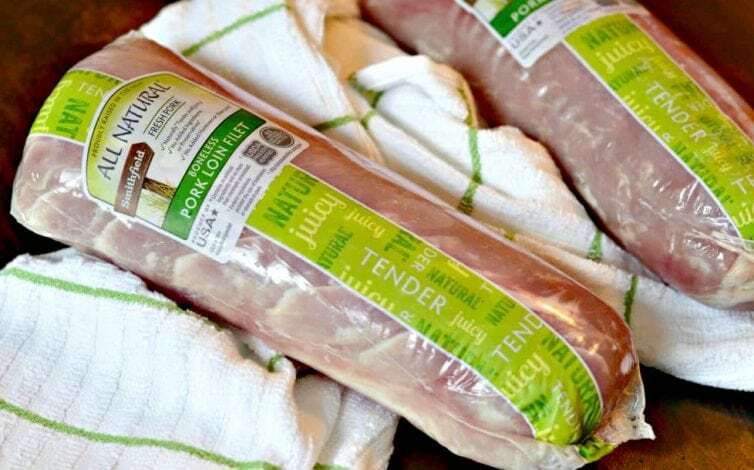 If you have followed me for long, you know that I love making recipes using Smithfield Fresh Pork. It is delicious and I know using it I can make tasty and nutritious meals for my family. Today’s recipe is one that I used to eat a lot around the holidays growing up in Mexico. It consists of a delicious sweet and spicy salsa that includes tomatillos, piloncillo (similar to brown sugar – you can find it in the Hispanic section at your local grocery store), and chipotle peppers. The Smithfield Fresh Pork Boneless Loin is a great cut of meat for this type of recipe. It is so tender and works well with many different flavors. For additional recipes using Smithfield Fresh Pork, visit www.saborsmithfield.com. 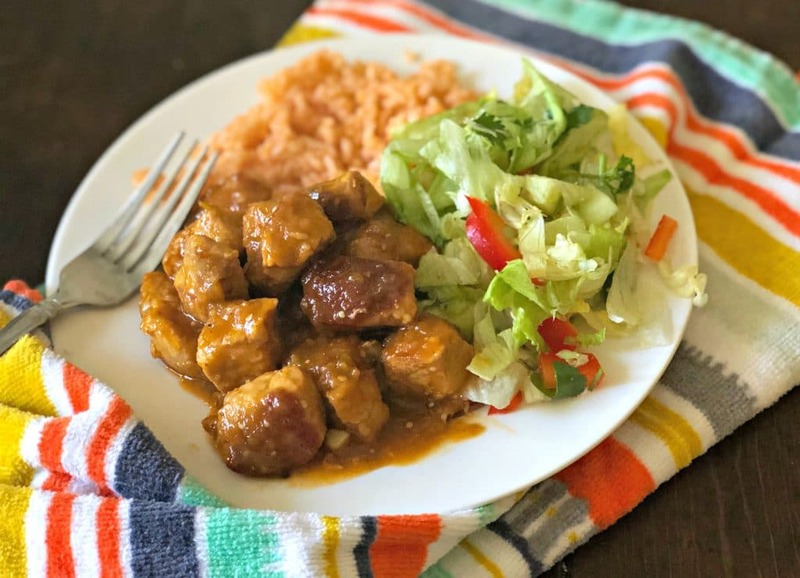 This is not typically the type of food that most people think of when they think of “Mexican food.” That said, it is very common down in Mexico and typical of the food that people eat on a regular basis. While tacos, tostadas, and enchiladas are more well-know here in the United States, I encourage you to try this as well to experience Mexican cuisine. My mom would make this kind of recipe around the holidays all the time when I was younger. That is why every time I make it here, it makes me very nostalgic for those days. I would love to hear how this turns out when you make it, so please leave me any questions or comments in the comments section below! Cook the pork with some oil in a frying pan until browned and cooked through. In a separate pan, cook the tomatillo, onion, and garlic with olive oil. Add cooked tomatillo, onion, and garlic to a blender with the chipotle sauce and blend until smooth. Add the above sauce to a frying pan with the pork and the piloncillo. Let simmer over medium heat for 10-15 minutes.